According to one coding company’s report, hospital productivity dropped during the initial transition to ICD-10. According to Healthcare Informatics, large hospitals reported 30 to 45 percent productivity reduction on the inpatient side and 20 to 40 percent productivity reduction on the outpatient side since implementation the ICD-10 codes on October 1. The report, conducted by Himagine Solutions, notes that after surveying 140 HIM Leaders, they found that many departments were experiencing difficulty making the transition. Large academic medical centers reported a 40 percent reduction in inpatient productivity and a 10 to 35 percent reduction in outpatient productivity and community hospitals with fewer than 250 beds reported a 22 to 33 percent reduction in inpatient productivity and a 35 to 40 percent decline in outpatient productivity. 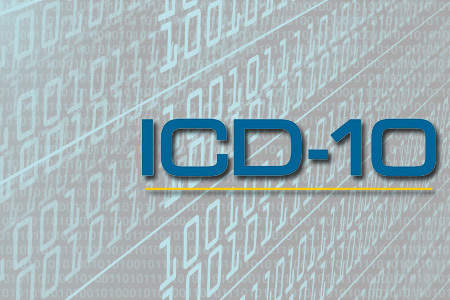 “Although it is difficult to say how the transition to ICD-10 is truly going without industry-wide metrics, initial results indicate that the industry is still bracing for a significant impact. Most initial delays have been manageable those far. And hospitals are now waiting for denial data and reimbursement data to see the real impact to the bottom line,” Himagine Solutions wrote. iHealth Beat reports this news comes despite an earlier report from CMS claiming that, while 10 percent of claims submitted since the Oct. 1 transition to ICD-10 have been rejected, only a small percentage of those were denied because of coding issues. “CMS has been carefully monitoring the transition and is pleased to report that claims are processing normally,” the CMS report notes.